PAG's battery technology has applications outside of the broadcast and digital cinema industries. Discover what made PAG the choice of leading portable survey scanner manufacturer GeoSLAM. Tim Bonython is an award-winning surfing documentary maker. He shoots on a jet ski, with a RED powered by PAGlink batteries, in a waterproof camera housing. The new PL150 provides extended run-time in an ultracompact package, and enables Tim to spend more time out on the ocean, capturing incredible images. Kevin Babey relied on PAGlink batteries to keep him powered-up for an extended period of natural history film-making in Borneo. The snake in this photo bit him, but you’ll be pleased to hear that it survived. Kevin still managed to get this shot, even though his hand was numb. 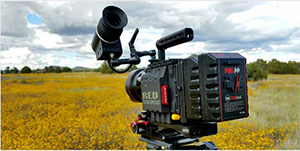 The Australian cinematographer, filmmaker, producer and production company owner says “I use my PAGlink batteries across several different camera packages: RED Dragon, Blackmagic Design URSA and the 2.5k Cinema Camera”. 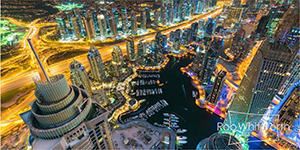 Internationally renowned hyperlapse photographer and film maker, Rob Whitworth, used PAGlink batteries to help create his stunning Dubai ‘Flowmotion’ film. “The combination of the flight-friendly PAGlink batteries and PAG’s small, simple and effective Micro Charger is hard to beat for travel”. This article explores the many technological innovations of PAGlink and how they benefit you. 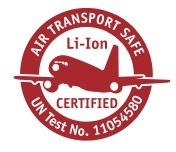 PAG’s Quality & Technical Director, David Hardy, explains the lengths to which PAG goes to ensure a safe Li-Ion battery system, and why you should never compromise on safety.